The following video is an example of a recent Adidas campaign that was launched to pay tribute to the GB Olympic team medallists in London 2012. With special dedication to Berklee Tangible Assets’ group members mates. Enjoy it! In my opinion, Adidas seems to be more oriented to music than Nike does, the German company is indeed using music as a strategic branding tool in order to reach and engage with its audience. We could argue that Nike is already a well-established brand and perhaps does not need to do much effort in terms of looking for new consumers, but Adidas appear to be better connected with today’s society. Likewise, it has successfully adopted a kind of suburban and authentic image that is well appreciated by the public. On March 2011, Adidas launched its “All in” campaign. The pop icon Katy Perry and DJ Baby G were chosen new Adidas ambassadors. With such associations the brand aimed to target young music lovers as well as active women. Other artists appeared in a new spot launched in July 2012, under Adidas Originals label. Nicki Minaj, Big Sean, 2NE1 and Kids these days, together with the eccentric designer Jeremy Scott featured in such spot. Have a look at the new Christmas campaign in which Snoop Dogg remakes the classic tale of Ebenezer Scrooge. Again another example of artist and brand partnership. And finally, check this out, Steve Aoki is also “all in”! After watching such videos, I think it is quite obvious that Adidas is really making an important effort to integrate music into its brand personality and thus trying to be perceived as one of the coolest sports brands. Furthermore, the company was also an official sponsor of Sonar 2012 edition. A recent partnership with Justin Bieber and Selena Gomez has been a good strategy to launch NEO, the new Adidas’ label. NEO is a new brand, new in concept and new in spirit that wants to be a referent within young consumers. From a brand marketing perspective Justin and Selena are a perfect global style icons, and due to their deep connections with fans via social media platforms they could attract valuable potential consumers. Both Justin and Selena are also designing some NEO products and the young brand has become the new official sponsor of the Canadian singer’s Believe World Tour 2012/2013. First of all, consumers had the opportunity to win tickets to an exclusive event that was held in London’s Scala nightclub on the 2nd of May, 2011. Together with MTV the company was also recruiting people considered passionate about music to become an Adidas’ reporter. And finally, surfers could also were given the opportunity to hang out with one of their favorite British artists, spending a day in the studio with Plan B, attending a secret gig with the Enemy, DJing with Caspa or getting Example round to their place. There is no doubt that Adidas rocks! The sports company has been using very different genres of music for its campaigns, from electronica to classical music, as you will see in the following videos. I do not have any idea how does the Japanese DJ duo Hifana transformed Nike’s flexible runn+ running shoes into musical instruments. Is it actually possible? Or is it a kind of trick? Anyway the result is spectacular! How does Nike approach to music? Is there any evidence of integration of music and sports? Thanks to the evolution of digital music distribution and the proliferation of music streaming services, the company has adapted its strategy and created new products to fit consumer’s demand. The company, together with Apple has launched Nike+ app, a running application that allows the consumer to listen to any kind of music while practicing sports. The application is available for iPhone and Android and can be purchased on App store. Additionally, the new iPod nano can be synchronized with iTunes library without connecting an external device or sensor. Nike has also participated in the design of a video game called Kinect Training for Xbox 360, putting together individual training and music. As well as other companies Nike has partnered with some artist such as Rick Ross, The Neptunes, Rakim, Nas and KRS-One who had appeared in some TV spots. In addition, Nike and the singer and songwriter Katy B collaborated in the organization of an exclusive event, The First ever Nike Training Club Live Festival, held in London on the 7th of July of 2012 at Old Billingsgate Market. The initiative was specially created for girls and aimed to bring together sport and music. The attendants could participate in some training sessions, get free professional massages or even get daring neon color manicure! Nike was actually in trouble in 1987 as the company decided to use The Beatles song “Revolution” in a commercial, without Apple Records, The Beatles’ recording company permission. As a result, Nike had to pay $250,000 to Capitol Records Inc., which was the owner of the North American licensing rights to the recordings, in order to use the original recording for a year. Nonetheless, after such incident Yoko Ono gave her authorization to Nike to use John Lennon’s song “Instant Karma” in another advertisement. Another recent incident occurred in June 2009, when Eddie Van Halen accused Nike of treading on his trademark, regarding the use of graphic stems from his red/white/black striped pattern seen on his “Frankenstein” guitar, which he has held the rights to since 2001. Eddie was asking for the impoundment and destruction of all the Nike Dunk Lows shoes, as well as all profits from its sales and damages. What do you think about Nike’s design? Were they using Van Halen’s design, or is it just a coincidence? Estrella Damm is a Catalan pilsener, founded in Barcelona in 1876. Damm group is the corporation that produces Estrella Damm beer, Woll-Damm, Xibeca, Free Damm, Bock Damm and few others. The brand is becoming an ambassador of Barcelona and a Mediterranean lifestyle. Besides of music event sponsorship such as La Mercè (Barcelona annual major celebration), Sónar and Barcelona Jazz Festival, the company is promoting the work of several graphic artists, organizing contests to design advertising posters and limited edition bottles. Even though the company is promoting local artists and events, foreign bands are mainly the ones chosen for its TV commercials. Damm’s music strategy is not as local oriented as San Miguel’s one. Nevertheless, Spanish public seems to enjoy the music selected by the brand and recent themes have surprisingly became summer hits. The company knew how to build expectation and the audience is year after year waiting for the new campaign to be disclosed. 2009 – Location: Formentera. Song: “Summercat”. Band: Billie the vision and the dancers. 2010 – Location: Menorca. Song: “Applejack”. Band: The triangles. 2011 – Location: Catalan Northern coast, El Bulli restaurant. Song: “I wish that I could see you soon”. Band: Herman Düne. Spot directed by Isabel Coixet. Estrella Damm is encouraging people to discover amazing places that have been neglected during many years by national tourists. Such commercials not only helped the bands to expand their fan base, but also were an important contribution for the locations that appeared in the spots. Actually, after watching such commercials lot of people decided to spend their holidays in Formentera or Menorca…well done! I already knew that Spanish brewing companies such as Mahou-San Miguel Group and Damm had been using music as a marketing solution to connect with consumers but I was very impressed to discover how music is integrated into their brand’s image. Music is not only being used as a marketing tool but also as an important part of the company’s core values. It helps to communicate and differentiate the attitude and character of the firm. The Group Mahou-San Miguel has positioned itself as the leading brewing company in the Spanish beer market. The company was founded in Madrid in 1890, under the name of Hijos de Casimiro Mahou, fabrica de hielo y cerveza (Sons of Casimiro Mahou, production of ice and beer). Cinema, sport and music are the three major areas the company has supported in recent years. A documentary, directed by Marten Persiel in 2010 was a smart project that combined those tree activities. San Miguel decided to promote its brand producing a 11 minutes film in which Spanish professional surfers and the band We are Standard, all of them residents in the Basque Country, share its experiences. San Miguel wants to encourage certain activities and even though its main objective is to produce and sell beers, the company is highly committed to stimulate a kind of healthy lifestyle. Having a beer after a surf session or after playing music in company of some good friends is a brilliant idea, don’t you think? In relation to advertising, the brand is encouraging the mixture of cultures and cooperation within musicians from different genres. Jamie Collum, Carlos Sadness, the electro-flamenco singer Nita de Fuel Fandango and the rapper Frank T have written a song “Everything you didn’t do”, used as San Miguel’s slogan. Primavera Sound: an annual music festival which takes places in Barcelona in late May or early June. The festival focus on independent music, and is a showcase for newly established international and domestic acts. Its first edition was in 2001, until 2009 the event was sponsored by Estella Damm, but in 2010 San Miguel succeeded as the main festival sponsor. Primavera Club: is a pre—Festival organized in 3 different cities: Guimaraes, Madrid and Barcelona. The 2012 edition in Barcelona starts today, and will finish this Saturday. The event in Madrid will be hosted tomorrow and Saturday night. Additionally, together with the International Music Observatory the company has organized Primavera Pro, a series of conferences that take place in Madrid and Barcelona with the purpose of discussing the current status of live music in Spain, and specifically the local scene in these two cities. Optimus Primavera Pro: a festival organized in Porto. Its first edition was in 2012, and the 2nd edition is organized from the 30th of May to 1st of June 2013. Bilbao BBK Live: a Rock and pop music festival that takes place in Bilbao since 2006. The 2013 edition will be from 11 to 13 of July. San Miguel also owns a concert venue in Madrid, Sala San Miguel. Important concerts are organized there every week. As well as other brands, San Miguel has signed strategic alliances and partnered with local music artists, such as the recent Russian Red tour (who was at Berklee Valencia last week) in which she was performing The Beatles tunes. As you can see, the company is really taking care of promoting good music in Spain and a great support for young artists. Let’s move to Europe! Today I will be writing about Heineken. I am so excited to discuss how the Dutch brewing company has integrated music into its marketing strategy. In my opinion, Heineken always chooses pretty good songs for its campaigns; catchy melodies and attractive people are a good combination for beer ads. How does Heineken sound? Is the brand sponsoring artists and music events? Are there other activities promoted by the firm? Some examples of Heineken’s recent ads, the first one “The Entrance” was launched in March 2011, and had more than 4 million views in YouTube. Due to its success, the company launched “The perfect date” in May 2011, using a similar style. Heineken sponsors a big amount of music events and Festivals around the world. Heineken Open’er Festival in the Polish coast, the Oxegen and Ballyheigue Summerfest in Ireland, Heineken Red Star Access in USA or FIB in Spain are some examples of Live Events promoted by the brand. Festival Internacional de Benicàssim (FIB) takes place in Spain every summer since 1995. Although the festival has been very popular amongst worldwide music maniacs, it has received lots of critics during the lasts years. Some people argue that the Festival is too much focused on British music tastes and has lost few fans. Additionally, its identity has substantially changed and it is not positioned as an indie festival anymore. Mainstream artists such as David Guetta are also part of its line-up. Furthermore, rumors about a possible suspension began to circulate in September, due to the financial problems of Music Festivals PLC. Maraworld, its Spanish subsidiary has confirmed that problems have been solved and a new edition of FIB will take place from 18th to 21st of July 2013. The Dutch company is also organizing the Heineken Live Project, a new series of gigs taking place in Cork, Dublin and Galway that tries to promote live music in Ireland. Heineken Live Project’s site offers more information and interviews with its performing artists. In addition to advertisements and music sponsorship, Heineken is also investing in music venues. Since 2001 the Dutch company together with Live Nation owns the Heineken Music Hall, a concert hall located in Amsterdam. The venue has a big hall of 3,000 m² with capacity for 5,500 spectators and a smaller one with capacity for 700 in which after parties are hosted. It is the only venue designed especially for amplified music and has been nominated multiple times for the Pollstar Awards as “Best International Music Venue”. The acquisition of venues seems to be a smart strategy, rather than only sponsoring music events the firm is also trying to be a referent as a concert promoter. Its partnership with Live Nation is a guarantee of success. Do you remember this TV commercial? Budweiser, one of the highest selling beers in the US has also incorporated music as a marketing tool, in order to create its own brand image. Budweiser beer is produced by Anheuser-Busch InBev., introduced in 1876 by its founder Adolphus Busch, and currently available in 80 markets worldwide. The firm is acknowledged by their humorous and foolish campaigns. In the early 1990s, Anheuser-Busch brewery commissioned a popular song: “Under the Anheuser Bush”. The song was undoubtedly written to promote Budweiser’s consumption. Listen to it and pay attention to its chorus!. Just let me hold your hand – ja-a! The company has mainly promoted and sponsored several Music Festivals across US, Argentinian Atlantic Coast and also some local ones in Spain, but has not developed any digital platform for music streaming nor music contests as the ones launched by Corona. Therefore, we can state that while Corona has strengthened its brand image based on different music programs, Budweiser has still lot to do. In spite of that, the North American company has focused its music strategy on Live Performances obtaining numerous recognitions. One example is the Budweiser Made in America Fest that was held in Philadelphia last 1st and 2nd of September 2012, with Jay Z and Pearl Jam as main lure. The event was a result of Budweiser, Live Nation and Jay-Z collaboration and will probably have future editions. The synergy allowed the event to be much more than just music and partying. Actually, art students around the country were invited to design their own version of the American flag! If you want to experience Budweiser’s Live Fest while being in Spain you should attend the Benidorm Low Cost Festival, which will take place from 26 to 28 of July, 2013. Who is in? Sunday evening…I feel so tired after studying all day, let’s go out and have some beers! Music is also present in plenty of commercial campaigns made by companies in the beer industry. In my next posts I will be writing about how music has been incorporated in the marketing strategies of some of the most important brewing companies. Here is one video from Corona Extra that I’ve found few days ago, and I would like to share with you. Amazing Mexican landscape, surfing, friends and cold beers! Corona Extra is a Mexican brand of pale lager owned and produced by Cervecería Modelo. It is one of the best-selling beers in Mexico and is one of the top-selling beers worldwide. Apart from producing and sponsoring several music festivals such as the Corona Music Fest which takes place every year in Mexico, the company has launched a website www.coronamusic.com, a digital platform that allows its visitors to have access to several reproduction lists, watch videos from live concerts, download music and receive information about future concerts. Corona knows how powerful music can be in order to reach consumers. Its strategy does not only include partnership with other music companies or artists but goes a bit further, creating Coronamusic.com have the opportunity to engage its customers (actual and potential ones) by creating a wider music experience. The Mexican company is also organizing acoustic music events, that are uploaded and share in their webpage “Corona Music Live Acoustic Session”. Even though the brand is associated with a relatively eco-friendly and healthy lifestyle, it has recently started a new music adventure “Movida Corona” in which the company moves into the electronic music. With “Movida Corona”, Corona Extra creates an official contest for DJ’s. The brewery sponsors the applicants, giving them a chance for promoting their music in various European countries. The winner from 2013 edition will work closely with Pacha and will collaborate in 3 Pacha’s official albums, as well as being introduced to several music promoters and producers. Finally, your should know that if you are planning to leave everything aside, Corona Extra has an online contest in which you can be chosen the next owner of a Corona Beach Bar. Check this out! In the last post I was talking about PEPSI’s strategy. Let’s discover how Coca-Cola is using music as a strategic branding tool! According to a music research made by Coca-Cola in 2008, 77% of 16 to 24 years old globally list music as their number one passion point. Knowing that, the beverage giant has also focused on music strategy in order to build emotional ties with customers and engaging with them. Despite both companies have always been similar in their “fun and young” personalities, they have chosen two different ways of communication. While Pepsi has always tried to target young audience (many of their ads were historically targeted at teens and pre-teens), Coca-Cola has been constantly gravitating towards the emotional side of branding. By the mid 1900s, Coca-Cola started using music in TV commercials, producing their own singles as the iconic “I’d like to buy the world a Coke” and “Always Coca-Cola”. By 2009 Coca-Cola launches its new global “Open Happiness” slogan. Instead of relying solely on traditional TV or radio advertising, the brand starts working with musicians and collaborating with recording artists. The brand creates its own song entitled “Open Happiness” and asked well-known artists (i.e. Gnarls Barkley and Panic at the disco!) from around the world to record their own versions. Trying to move a bit further Coca-Cola released the remixes as an exclusive digital download and soon songs were passed to digital and social networks, reaching the youthful target audience around the globe. The song became so popular that soon Leehom Wang’s version reached number 1 on the Chinese charts. Since 1900s music has been an important part of Coca-Cola’s DNA but during the last fifteen years it has become a major part of its core branding. 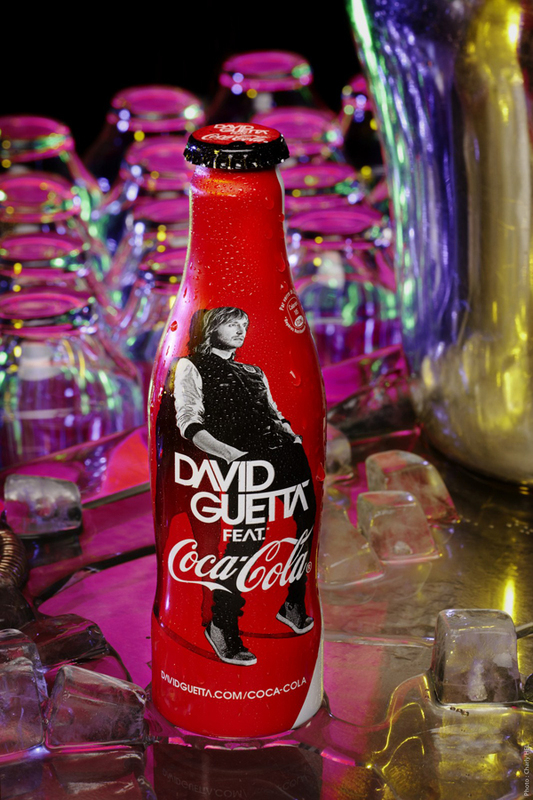 Coca-Cola creates a new limited edition bottle together with David Guetta. The collaboration features a limited edition bottle with a luminescent twist (that allows it glow in the dark) which is available only in selected ‘trendiest’ clubs and Monoprix stores across France since February 2012 until the end of 2012. The bottle was unveiled on January 28, at the NRJ Music Awards ceremony in Cannes. The DJ and the soft drinks giant partnership started in 2011, when Guetta and Burn (the energy drink distributed by The Coca-Cola Company) created the “Nothings but the beat’s documentary” featuring life behind the scenes videos from his concerts. David Guetta and Burn have also launched a reality show “The Burn Studios Residency Program” in which they are giving the opportunity to unknown DJ’s to be hired as Resident DJ of some of the best clubs in Ibiza. Last 18th of April, 2012 Spotify and Coca-Cola partnered to give consumers around the world unprecedented access to the music. The partnership expects to help fans discover new music, connect with other music lovers around the world and seamlessly share their experiences with friends both online and offline. Both companies partnered in March 2011. Music Dealers is as global music solutions company that pairs up independent artist with clients in the advertising, television, film and gaming industries. Such collaboration will allow Coke to cut through layers involved in licensing music. It will also give direct access to new music in order to reach teen consumers and substantially increase the servings of its beverages by 2020. Coca-Cola aims to become an established music brand, and wants to compete against companies such iTunes, MySpace and YouTube. Recent partnership with artists and successful companies within the music industry should help Coke to build a new business division. Will this collaborations of well knows brands and their interest towards music solve the music industry’s current problems? Would brands replace record labels at some point? As we have seen music is a highly effective communication vehicle and brands as Pepsi and Coca-Cola are implementing it as part of their marketing strategy. So, what do you guys think about Pepsi and Coke’s music strategies? PEPSI knows it! Since first partnership with Michael Jackson, back in 1983, PepsiCo, Inc. has launched several campaigns using music as a storyline or music artist who have helped the company building its brand’s identity and personality. A brand is the personality that identifies a product, service or company (name, term, sign, symbol, or design, or combination of them) and how it relates to key stakeholders: customers, staff, partners, investors… Others may say a brand is more than that: confidence, passion, belonging, action, security or a set of unique values. 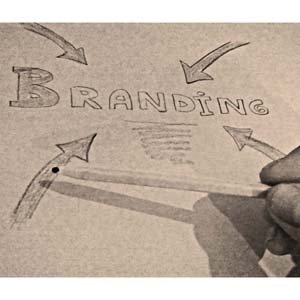 We tend to think of branding as a modern day phenomenon; undoubtedly branding has evolved over the late 1990s and early 2000s, but certain studies argue that branding started even before (around 1800s) when companies that sold patented medicines and tobacco realized the importance of their product’s association with a brand. History provides some insight and perspective on modern day branding, and curiously have dated the branding phenomenon and first evidence of advertising even to ancient Babylonian civilization back in 3,000 BC! Coming back to PEPSI’s strategy, a recent deal with the late King of Pop’s estate will allow the brand to use the music legend’s image for a new global marketing campaing. 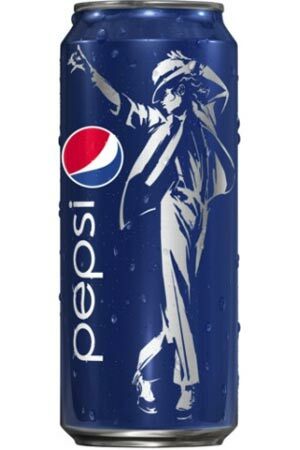 In order to amplify the company’s strong ties with popular culture and win market share from its main competitor (Coca-Cola Co), Pepsi will release a series of new TV ads, will launch an special-edition can with the artist’s image and will give the chance of downloading remixes of Michael’s most famous songs by scanning codes that will be placed on the new cans. Going a bit further, the company is also considering other ways of attracting the customer and will give away tickets to Cirque du Soleil shows along with special leather jackets inspired by the artist genuine style as a reward. 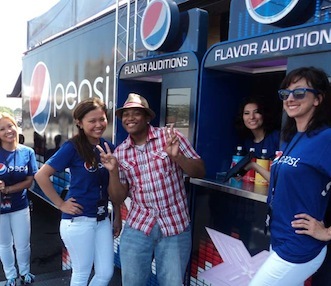 During 2012 spring, Pepsi also joined The X Factor and embarked on The Pepsi Flavor Audition Tour, giving contestants and fans at more than 20 locations in 15 cities, the exclusive opportunity to sample four new Pepsi flavors and be the judge of which one earned the right to be called Pepsi X. Allowing consumers to be part of the product experience is also crucial, and with such Flavor Auditions Pepsi is getting even closer to the society. My blog will be focused on how different brands are using music and the image of musical icons on their branding strategy. Advertising agencies and marketing departments know how important music can be for a business and are using audio and image as an influential extension of the brand. In a competitive world where the customers have endless options available to them, not only the product or service offered counts. Right corporate identity helps brands achieving their business objectives. Future blog entries will provide different examples of how sports, fashion, soft drinks and automobiles among other industries are making use of music to interact with society. Good marketers know that in order to maximize the effectiveness of any campaign they should identify their primary target market, and the choice of music and how the brand uses it should underscore and harmonize with other communication methods that are already being used. Therefore an effective campaign should use music that enhances the fit between the values of the music, the Brand and the consumer’s values.